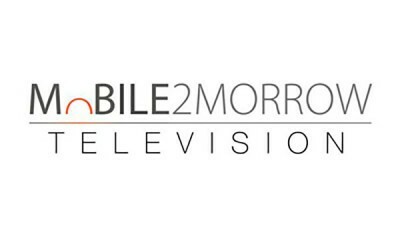 As of July 9th, 2016, two flagship brands of English Club TV Group, the educational channel English Club TV and the art channel Classical Harmony, will be available a la carte on the MOBILE2MORROW OTT platform. All viewers worldwide can learn English and/or enjoy world-renowned paintings accompanied by masterpieces of classical music on their laptop, tablets, computers, smartphones by downloading one of the free apps. Andrew Semchenko, the CEO of English Club TV Group, says: “The English Club TV channel has a strong reputation among learners and teachers. Most of all, I’m proud that the Classical Harmony channel we launched in 2015 is becoming more and more popular all over the world. Now, the Classical Harmony channel features more than 25 world-famous galleries and museums, 75 genius painters and artists, 200 inspiring musical compositions and 300 amazing paintings. In 2016, we have started producing all the content in 4K to help viewers see the intricate details of the paintings that are not seen by the naked eye by museums’ visitors. Improve your English, refine your taste in art and educate your children with English Club TV and Classical Harmony”. English Club TV is a unique educational channel for those who want to learn and improve their English. The English Club TV Channel is available via Astra4A and Measat3A satellites which cover the European, Asian and African continents. Every day more than 24,000,000 subscribers of more than 400 operators watch English Club TV in 76 countries around the world. English Club TV content is available through OTT, VOD, DTH, IPTV and mobile platforms. Classical Harmony is the world’s best collection of fine art, accompanied by the masterpieces of classical music in 4K. Watching Classical Harmony creates an atmosphere that immerses viewers into a state of total relaxation, with classical music complementing the process.